The code bellow asks for a folder location, and then for a string. 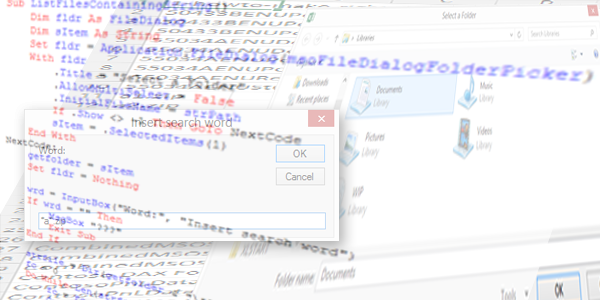 Then it searches through the files in that folder and returns a list of those, that contain the given string. At this point, it does not search for files of a certain type but you could actually include things like *.xlsx or *.pdf in a string. You can also modify the code. In line 22, the final star should be replaced by the .xlsx or any other file type you desire if you want the code to return only the files of a certain type.